Bess Atwell is "your new ethereal folk-pop princess" (Wonderland Magazine). In 2015, not long after dropping out of university to pursue music, Atwell garnered the attention of major news outlets after a slew of showcases for The Great Escape Festival. The Independent and The Guardian were amongst those impressed by the artist’s performances, describing her as “a promising folk poet of suppression and inner anxiety” and “a gifted singer-songwriter with a voice like slow, cool water”. Two years on from her debut album, the former solo project has evolved into a full band sound soaked in four-part vocal harmony fulfilling Atwell’s desire to create a more dynamic live show, with traces of traditional folk music. 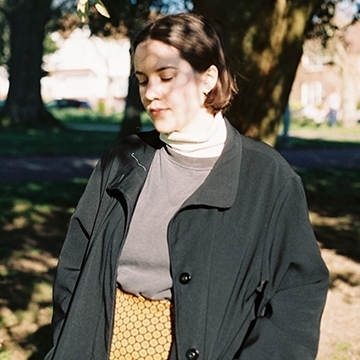 Atwell’s latest single ‘Grace’ is the more restrained, intimate successor of her August offering ‘Swimming Pool’, both of which have been playlisted by BBC Radio 6 Music. For fans of Sharon Van Etten, Fleet Foxes, and Carole King.